On average, crime for nearly seven different types of offenses increases by almost 10% between June and August. It’s no coincidence that these numbers rise in the summer months where teens are out of school. To keep from becoming another statistic, it’s important to find things for teens to do in the summer—and whether educational, financially productive, local, or out of town—there needs to be an emphasis on fun. The best way to plan your summer is to start thinking now and to engage your teen in the planning process. This will create interest, strengthen your relationship, and make them accountable for following through. Here are five great summer activities for teens to help you get started. You can’t go wrong with getting creative. Tap into what your teen likes or is interested in and try to pick activities around that. This can be something you two do together (like trying a new recipe) or something they can do alone (like an art class). You can also encourage them to try something new, which both sharpens their critical thinking skills and helps their brains to be engaged—even on break. Sports teams will always be one of the best outdoor activities for teens because of the ease and availability of joining! There are hundreds of teams to pick from, at all different skill levels and price ranges. Although paying for extracurriculars can get pricey, you can save money in renting or using second-hand equipment and by keeping a schedule to make sure you’re not missing any practices or games. Your teen might groan at this option, but there are ways to make summer work/volunteering fun. First, encourage your teen that the money they make is money they can spend. Sometimes reminding them of the benefits of having cash to do the things they want is enough to get them motivated! Also, take time to research different work options with your child and figure out what would be of interest. Try to pursue something that would be an eventual lead-in for a future job or something totally unrelated that sparks interest. If possible, work/volunteer together, or schedule an event that incorporates their friends for even more fun. One of the classic and best summer activities for teens is summer camp. Not only is this a great away-from-home experience, but it allows your teen to make friends and bond with people outside his or her ‘bubble’ of school and home life. 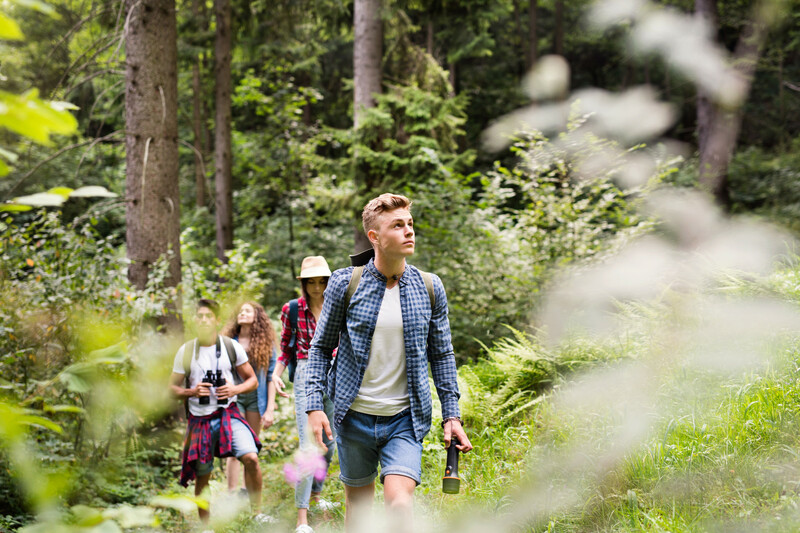 Teens are also challenged by outdoor activities, team-building exercises, and adventures where they can expand their minds in different ways. You can find local camps or sleep-away camps within your state or the country. Another option is summer camp abroad for a fully-immersive experience that teaches your teen life skills, getS them off their phones, and even boosts their resumes! Finding things for teens to do in the summer can be a challenge, especially for parents who can’t afford some of the pricier activities. If the budget is a challenge, consider day trips to local areas, weekend camping, or even pitching a tent in your backyard! You can also play tourist in your hometown and go to different museums, restaurants, and monuments that you may not have seen in years or totally overlooked. If a summer vacation is an option for your family, try to plan one that includes all family members and potentially your teen’s friends, too. This can be a great way to bond with your teen and get to know the people he/she hangs around with. Summer can be a crazy time for parents, but it doesn’t have to be. Whether you decide to enroll your teen in summer camp abroad, take him/her on family vacation, or even encourage a part-time job, you have the ability to make your teen’s summer fun! To read other tips for parenting (and entertaining) teens, read our blog.